Are you still stumpeDD on the perfect way to surprise your sweetheart this Valentine’s Day? 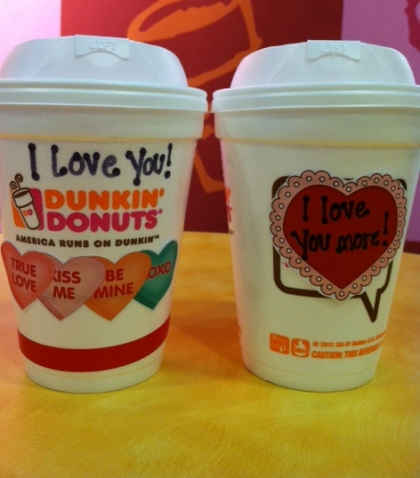 There are many ways to show your love, but we think that Dunkin’ is the sweetest of all! From Dark Chocolate beverages to heart-shaped donuts, DD has just what you need to bring some unexpecteDD Valentine’s Day cheer. For an even more personalized Valentine, check out our ideas for a delicious DIY recipe and craft project. This sounds like the beginning of a beautiful love story! Check out our fun iDDeas for Valentine's Day surprises! 1. Dark Chocolate Mocha Stuffed French Toast: What's even better than a delicious breakfast on Valentine's Day? A delicious breakfast that's served right in bed! Let your sweetheart inDDulge this morning with Dark Chocolate Mocha Stuffed French Toast. The breakfast professionals on the DD Culinary Dream Team created this recipe to be easy, fun, and full of gooDDness. View the full recipe here! 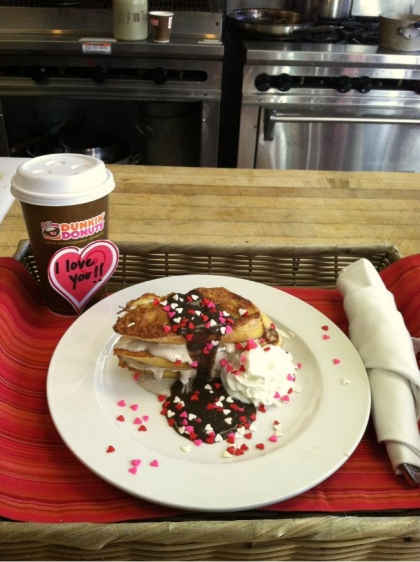 Get your Valentine's Day running with our Dark Chocolate Mocha Stuffed French Toast. 2. 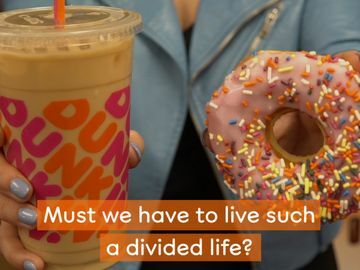 Brewing Romance on Social Media: If you and your photogenic Valentine are fans of Dunkin' Donuts on Instagram or Pinterest, make sure to show us how you are spreading the love! Also, be on the lookout for our special Valentine's Day sweepstakes on Twitter! 3. 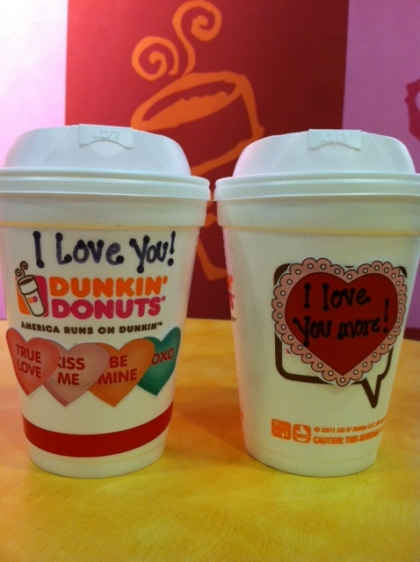 Creative Coffee Cup: Delight your Valentine by DDressing up his or her favorite beverage! 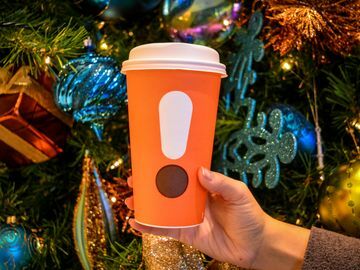 We created these loveable coffee cups with printed heart decorations and fun marker messages. They're ready in a snap! If you and your sweetheart are feeling adventurous, try our Dark Hot Chocolate or our new Dark Chocolate Mocha Coffee. The rich flavor of dark chocolate is a perfect addition to your Valentine’s Day celebration. Nothing says "I love you!" 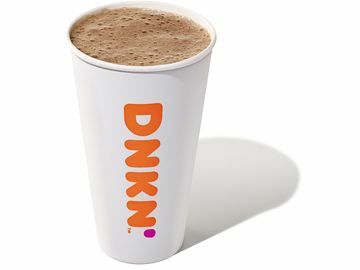 like a warm cup of DD coffee! 4. Have a heart: Have you seen these sweet hearts? This Valentine’s Day, we are introducing our new Brownie Batter Donut and bringing back the fan-favorite CupiDD’s Choice Donut. The Brownie Batter Donut is filled with chocolaty brownie batter filling and topped with chocolate icing and white sprinkles. The CupiDD’s Choice Donut is filled with Bavarian Kreme and topped with strawberry flavored icing and a festive mix of heart-shaped sprinkles. Both are made with extra love! The Brownie Batter and CupiDD's Choice Heart Donuts are a match made in heaven! 5. 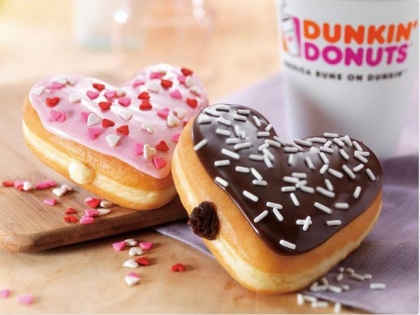 Virtual Valentine: Dunkin’ Donuts Mobile Cards have been Valentine-ized! 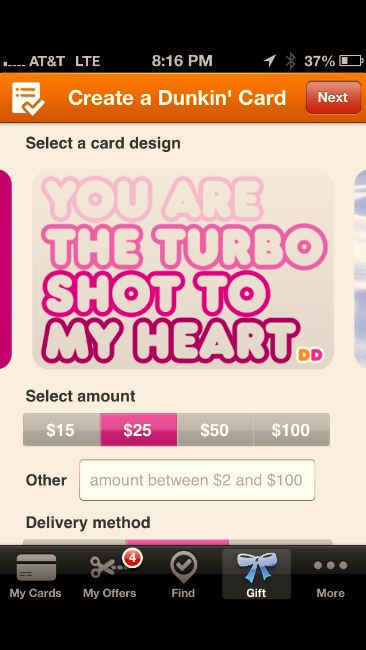 Be sure to check out all of our love-inspired card designs on the Dunkin’ Donuts mobile app. Using the mGift feature on the app, you can send your sweetheart a virtual DD Card via e-mail, text, or Facebook. 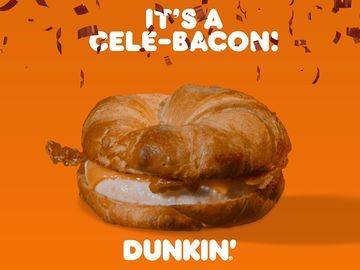 The mGift can be redeemed directly from a mobile phone at more than 6,000 participating Dunkin’ Donuts locations. The Dunkin' mobile app makes sure that you never stop running. 6. Last-minute Valentine: Is your sweetheart a little bit unpreDDictable? DD Cards allow the special people in your life to choose their favorite treat anytime they like. DD Cards are available in our stores year round. The best part? They don’t need to be wrapped or immediately placed in water. 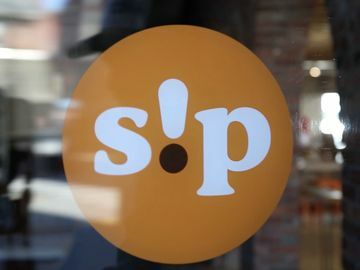 Remember: for memorable Valentine's Day surprises that are easy and affordable, all you need is a little love! Are you planning something sweet for your DD-loving Valentine? Share it with us on Facebook or Twitter.